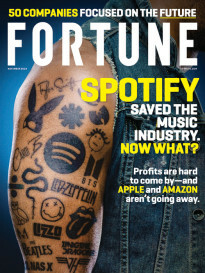 FORTUNE — This year marks the first time I’m jazzed about the Kindle Fire — and not because I interviewed CEO Jeff Bezos in Seattle earlier this month. No, the problem with Kindle Fires in years past, particularly that first generation, was the tablet experience reminded us that Amazon had catching up to do. The software could sometimes be sluggish, the features limited. (Indeed, it’s been said the first-generation Kindle Fire closely resembles the ill-fated BlackBerry Playbook because they shared the same manufacturer.) With the iPad, Apple (AAPL) designed a superior combination of hardware and software. Even with the debut of last year’s 7-inch iPad mini, a device that shares several of the same parts with the second-generation full-sized iPad, the company still designed a similar experience at a more affordable price point that didn’t severely compromise things for the user. MORE: Can Jeff Bezos defy Buffett’s law and save the Washington Post? Amazon (AMZN) has typically sold its Kindle readers and tablets at cost, and the Kindle Fire HDX is no different, Bezos says. For $229, users get a tablet with a fast quad-core 2.2 GHz Snapdragon 800 processor, dual-core Adreno 330 graphics chip, 720p front-facing camera, star, high-definition pixel resolution of 1,920 by 1,200, and 16 gigabytes of built-in storage to start. All of that comes sheathed in a jet-black magnesium unibody chassis that’s up to 34% lighter and 14% thinner than last year’s models. This time, the power and volume buttons are placed on the grippy soft-coated back instead of the side — an unorthodox touch that works here. Holding it one-handed for hours isn’t an issue. I preferred using the HDX without the $49 foldable “origami case” Amazon sent along with the review unit, which is undeniably handy on-the-go, but adds bulk, weight, and actually diminishes the tablet’s overall look. On the software side, the latest version of Kindle Fire’s operating system, now dubbed Fire OS 3.0, runs atop of Google (GOOG) Android “Jelly Bean.” It’s still designed to look like a virtual book shelf, with the home screen using a Cover Flow-like “carousel” where users can browse books, TV shows, apps, and other media. But it’s also been expanded to allow proper multitasking — or close enough to proper multitasking, at least. The new multitasking feature, called Quickswitch, appears when users swipe up from the bottom edge of the screen. This brings up a row of open apps, publications, and books where users can then scroll through and select what they want. The transition is instant, and while it’s not quite as useful or snazzy-looking as the multitasking ability in Apple’s recent iOS7 update, it’s nonetheless useful here. Other software tweaks include a beefed-up version of X-Ray. Once limited to books, the feature now takes advantage of Amazon’s ownership of the movie database IMDB and lets Kindle owners discover say, which actors are in a particular movie they’ve rented or purchased, or which song is playing in the background of a particular scene. This proved a nice, if not exactly useful, touch while I watched old episodes of the sci-fi show Fringe. 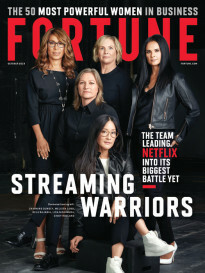 Another feature, called “second screen,” basically leverages a device like a PlayStation 3 loaded with Amazon Instant Video software attached to a TV, and turns the tablet into a similar console. Users can check out additional information about what they’re watching and control video playback. I spent less time playing with “second screen” but found it worked as advertised. The feature Bezos seems most enthusiastic about is a 24/7 tech support feature available to HDX users over Wi-Fi called Mayday. Tapping a virtual button in the tablet’s menu summons a Kindle support guru via a small video chat window in 15 seconds or less. Not only can these employees offer virtual face-to-face advice on how to use a certain tablet feature, they can actually control the tablet, too, drawing arrows to menu options, even doing things like upping or dimming brightness at the users’ request. It’s a feature you won’t fully appreciate until you actually try it yourself or see in person. But it works as advertised, and it’s actually downright impressive. (Indeed, my tech-jaded roommates — a former IT security employee and a professional D.J. — gawked each time I used it. Bezos may have been right to be excited.) Granted, there are very few Kindle Fire HDX users out there right now, so the real test will be when a fraction of the millions of eventual owners try this feature all at once. But in Mayday, we get a glimpse into what the future of online customer support could look like. Amazon claims the tablets will run for 11 hours between charges and as long as 17 hours if users only read e-books, thanks to a new, low-power mode that cuts down on chip usage during light tasks. In practice, I managed to eke out nearly 12 hours of mixed use with brightness dialed to about 65%, which is impressive, and about two hours more than what I get from the iPad mini. If there’s anything to dislike about the Kindle Fire HDX, it’s that, despite all the improvements, users are very much wedded to the Amazon ecosystem. And although iPad mini is pricier and features older components (for now), if you’re a Mac user, there’s undeniably more synergy among Apple devices. Also, Fire OS 3.0 still trails behind iOS7 in some features and polish. That still doesn’t diminish what Amazon has done this year with the HDX. For the first time, truly, the company has made a product that won’t make some users feel like they’re compromising an excellent user experience for a cheap price tag. Because now, Amazon’s tablet line has both. Correction: In an earlier version, we wrote that Fire OS 3.0 would roll out email threading as a feature in a future software update. The current software already includes the feature. Fortune regrets the error.